Regulations apply to ladles and ladle hoists which come under the categories of 'load bearing' and 'lifting equipment' and therefore the auspices of health & safety in the workplace. The risks associated with such equipment must be assessed and managed. Particular attention is paid to metal fatigue, weld integrity, worn gears and bottom-pour stopper mechanism. Examination of the bail structure along with the bushes and trunnions. Gearbox parts are cleaned and inspected. The stopper system is checked for functionality (if applicable). 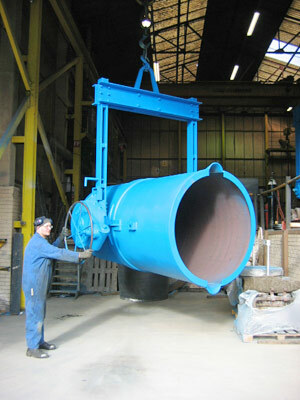 Each ladle repaired is returned with a test certificate, maintenance instructions and parts list.